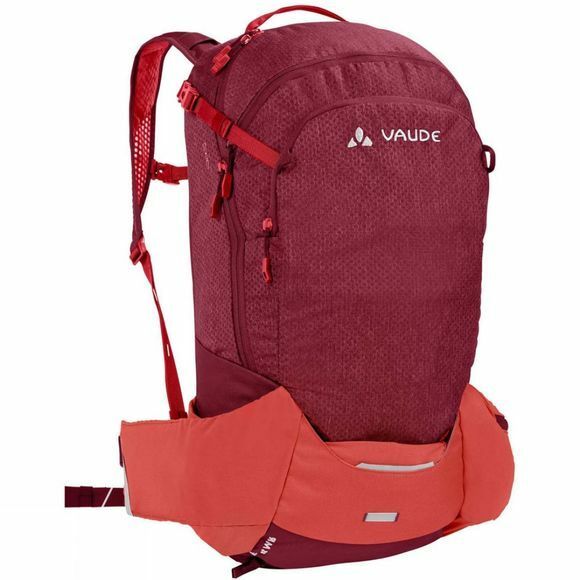 The Womens Bracket 16 Rucksack from Vaude is a full-featured 16-liter backpack, you won't have any problems with organization. The pack meets all expectations for flowing trails. The Ventex Active suspension system ensures a perfect fit and good ventilation while the flexible, compressible hip belt keeps the pack right where it belongs on your back. The newly developed, slightly arched EMP back panel (Ergonomical Movement Panel) ensures a perfect fit with optimal freedom of movement on the bike. 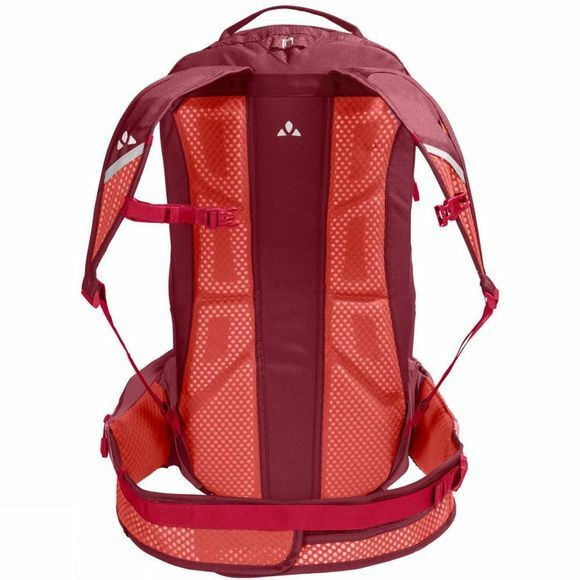 The pack is divided into three compartments. In addition to the large main compartment for rain gear and provisions, there's a separate compartment with a soft lining for your glasses and space for your valuables. The front compartment features a detachable tool bag that's quickly and easily at hand if things head south.